This three-game compilation includes DARK SOULS: Remastered, DARK SOULS II: Scholar of the First Sin, and DARK SOULS III: The Fire Fades Edition packaged in an exclusive Steelbook case. 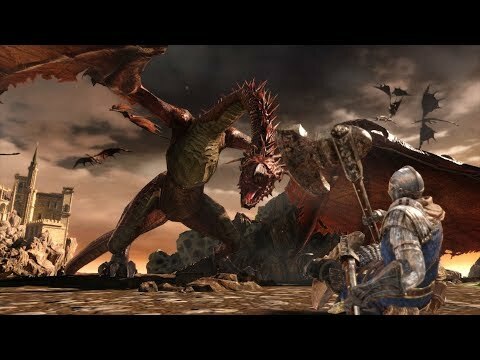 The DARK SOULS series has been a benchmark of excellence since it’s initial release in 2011. The series has ignited the imagination of video game fans the world over with its unique gameplay elements including asynchronous multiplayer, challenging difficulty that requires players to think before they act, deep lore that expands a deceptively simple story, and an atmospheric twisting and interconnected world map. Now players can own the entire series along with all associated DLC in one ultimate package. Dark Souls Trilogy was released on PS4 and Xbox One 182d ago in the US and the UK. Notify me when Dark Souls Trilogy is available.